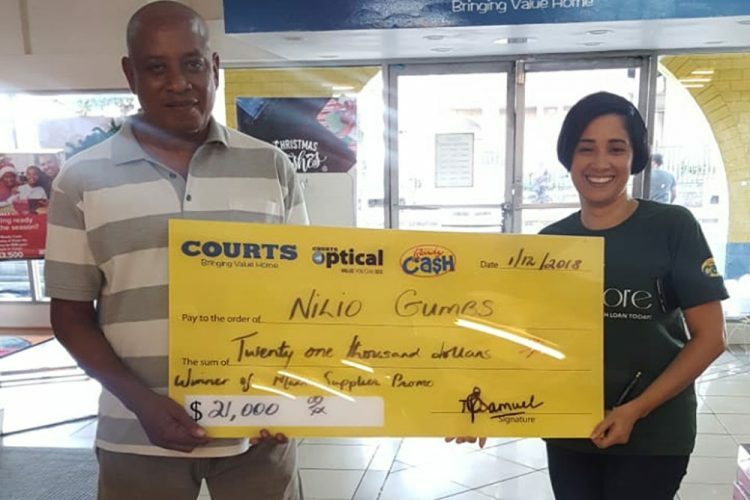 NILIO GUMBS walked away smiling with his winnings amounting to $20,980 in the Mabe Supplier Shopping Spree. 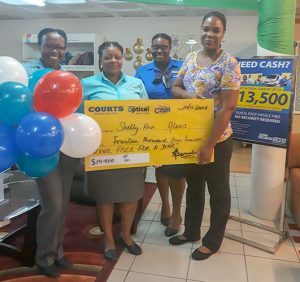 IN JUST ONE week, Courts St Vincent Ltd – Electrical/Furniture/Radio Shack/Optical superstore rewarded two of its customers who participated in their Christmas promotions. To be eligible customers had to purchase any Mabe product during the period November 10 to 30, 2018. Shelly Ann Alexis was the second winner for the week in the Live Free for a Year Promotion. Customers applying for a cash loan during the period November 22 to December 5 had a chance to win monthly payments towards their utility bills for a year. Alexis’ total prize amounted to $14,400. Both customers were thrilled with excitement when they found out that they were the recent winners in Courts campaigns. They expressed their appreciation and praised the company for its customer reward programmes.